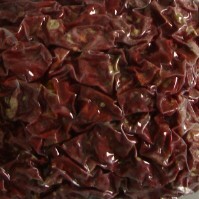 We can supply 10kgs/ctn lined with poly bag or 5kgs vacuum bag sun dried salty tomatoes and canned dry tomato. Our factory located in Xinjiang province, China.Xinjiang which is one of the largest origins of red tomatoes, with the annual production of more than 100,000 tons. It covers the land area of 78000 square meters, with clean workshops, advanced workmanship and cutting-edge facilities . It specializes in drying, processing and packaging of apricot, plum, tomato and other fruits and vegetables, with the current yearly production of 3,000 tons of dried fruits. Both the factory and the base of raw materials are located at the start point of Xinjiang-Tibet Highway at Yecheng Country, Kashi Area, Xinjiang province, China, against dagger-axe, the second highest peak in the world (8611M), neighboring Pakistan, Tajikistan, Kirgizstan, Afghanistan and Uzbekistan, which is the an oasis at the edge of Taklimakan Desert. It offers a variety of products, in particular quality apricot, plum, megranate, grape, peach and mulberry. Xinjiang has the typical dry climate in temperate zone, with sufficient sunshine (over 2,600 hours every year), high accumulate temperature (over 4,000°C as active accumulated temperature above 10°C), low precipitation (average annual natural precipitation of 155mm), large vaporization (over 2,400mm every year), dry climate, long frost-free period and large temperature difference between day and night. Meanwhile, its yearly solar radiation is only less than Tibet. Due to these factors, the plants have longer growth cycle, less diseases and insects, high sugar content in fruits and more glamorous fragrance. The wide-spread mountains in Xinjiang create the huge mountain glacier, which forms a lot of rivers and clear water quality. Since the precipitation is low in Xinjiang, the farms and orchards are usually irrigated by glacier water, which is originated from Pamirs, containing low deuterium and tritium (at -20-38°C), low radiation, high activeness and free of modern pollutants. The natural weak base water is known as "the water of life", which explains the longevity of the natives. Xinjiang is the largest tomato production base and tomato sauce processing district in Asia. In 2006, the planting area covers 1,142,000 Mu. Due to the natural climate, the quality of the tomato products in Xinjiang meets world-class standards. The content of lycopene is higher than the world average, rich in carotenoid and vitamins, with high concentration and bright color. From planting, harvesting to processing, there are 177 technical standards controlling the quality. Our tomatoes are planted according to US, Japanese and European standards respectively. The tomatoes in Xinjiang is ripe from July to August, beautiful in appearance, fine in taste, juice and nutrient, containing several organic ingredients and the necessary vitamins and inorganic substances for human body. Located at the center of the raw material production base, based on the order operation model of "factory + farmer", we strictly control the quality starting from the seeding. Our professional quality control staff also screen the raw materials entering the factory. Customized for the specific markets, we produce 36-38% cold breaking, 30-32% hot breaking, 28-30% cold & hot breaking tomato sauces and other specificiations. The products are packaged in sterilized cans customized for customers, usually in 1,000L or 220L. The exterior package is ton box or steel barrel, for re-processing in food industry. The advanced re-packing process will maximally maintain the nutrients of fresh tomatos. 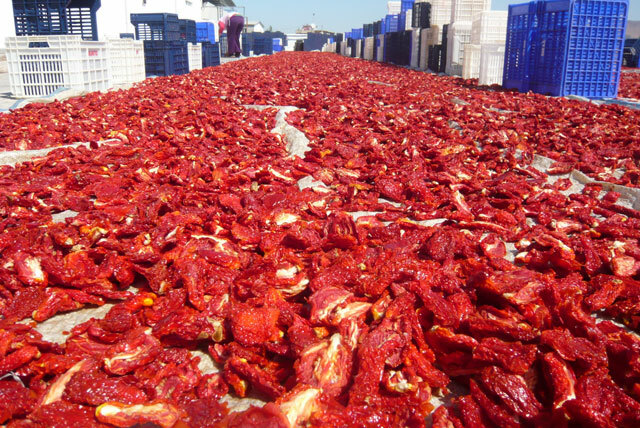 The dried tomatoes in Xinjiang is made of fresh selected tomatoes, sun dried in the unique local mills. Compared to heated and mechanical drying, this traditional process maximally preserves its original nutrients and the red color. In our factory, we process as follow steps: manual sorting, mechanical cleaning, vacuum sun drying and vacuum nitrogen packaging, free of saccharin or sweetener & coloring. It preserves its natural and original flavor, excellent quality, nutrients and vitality. 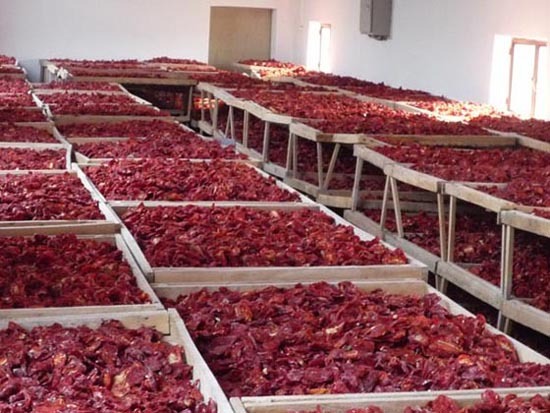 1.sun dried tomatoes with sulfur: red colour, sulfur 2000ppm, water content 15~20%,without any other addtive. 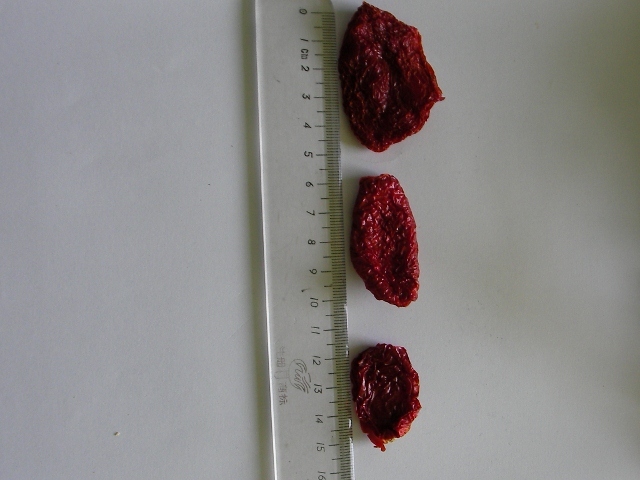 2. sun dried tomatoes with salt: red clour, water content 15~20%, salt content:6~8%,without any addtive. 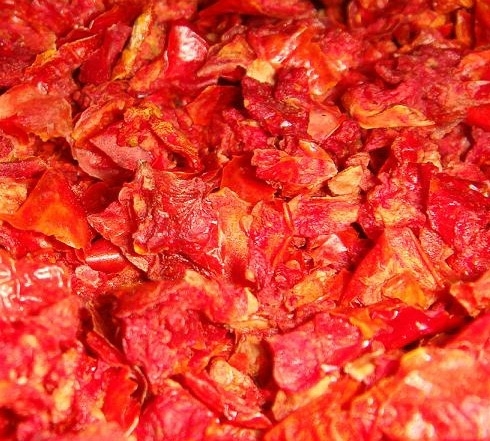 3. natural sun dried tomatoes sulfur free: dark red clour, water content 15~20%, without any other addtive. 4.sun dried tomatoes tripes and slices. How to view the above SIlverlight pictures: Click the plus (+) button or use the mouse wheel to zoom in. To zoom out, click the minus (–) button or use the mouse wheel. To reset the view, click the first square button. To reposition the image, drag it with the mouse.